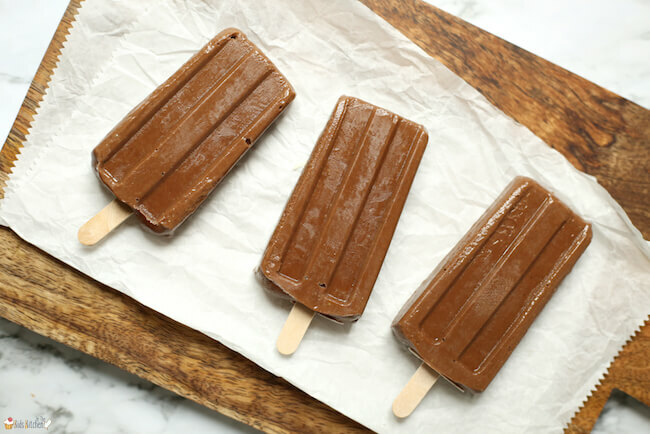 These Avocado Fudgesicles are unbelievably rich and creamy and full of chocolate flavor! 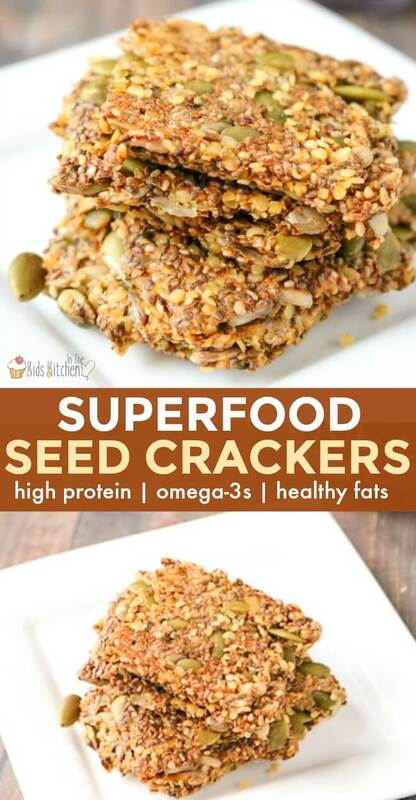 Only 5 simple, natural ingredients needed. 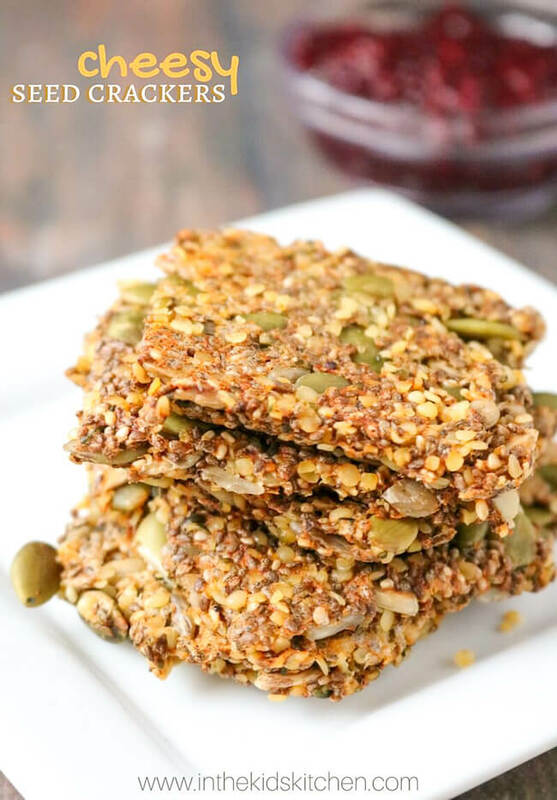 Dairy & gluten free! 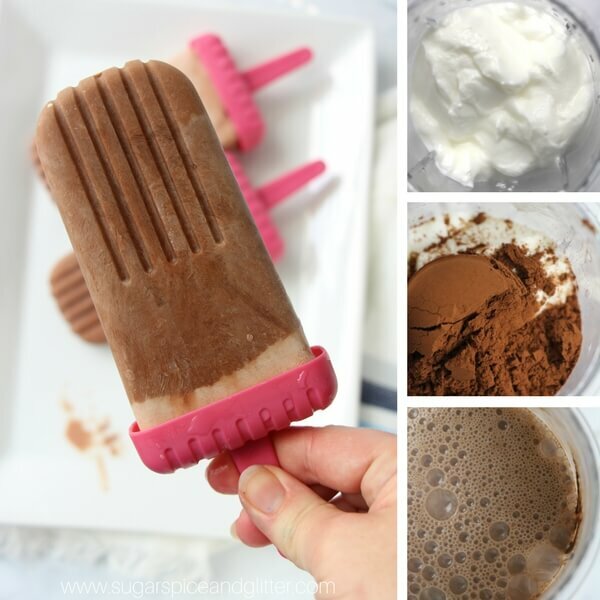 Who doesn’t love a cream fudgesicle on a hot summer day? 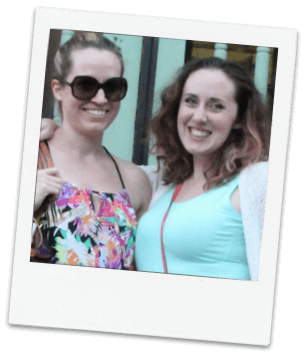 When I found out I was lactose intolerant in college, I was devastated to think about a life without fudgesicles and other frozen treats! 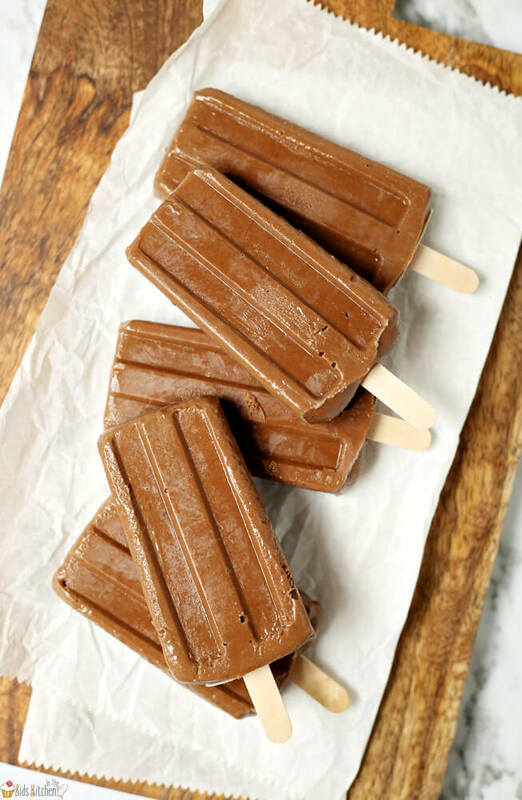 Fortunately, there are some pretty amazing non-dairy fudgesicles and the like on the market these days, but they are usually not cheap. 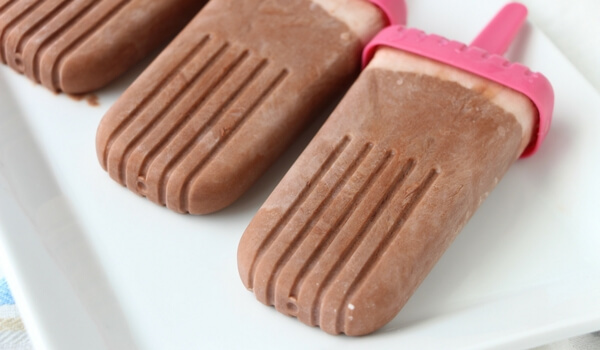 That’s why we love to make our own dairy free fudgesicles at home! Not only is it a more cost-effective way to treat yourself, but you know exactly what goes into your food. And in this case, it is only 5 simple, natural ingredients! 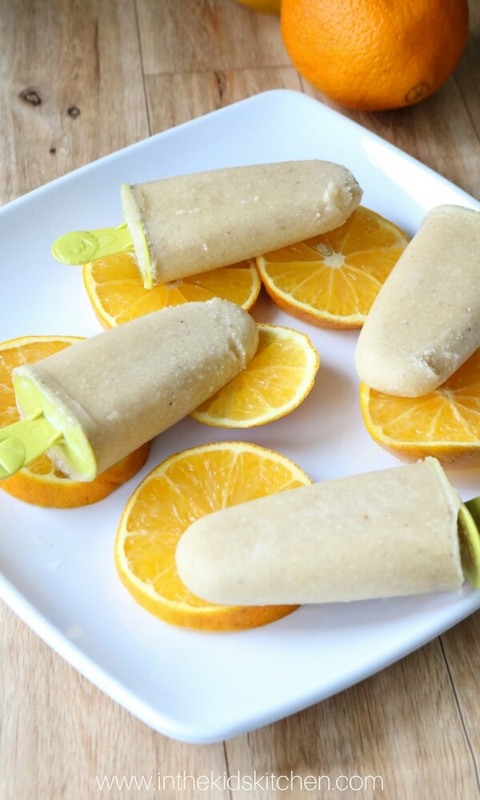 Even if you’re not lactose intolerant, these avocado fudgsicles make a delicious (and healthier) substitute to store-bought frozen desserts. Plus they’re kid-approved! 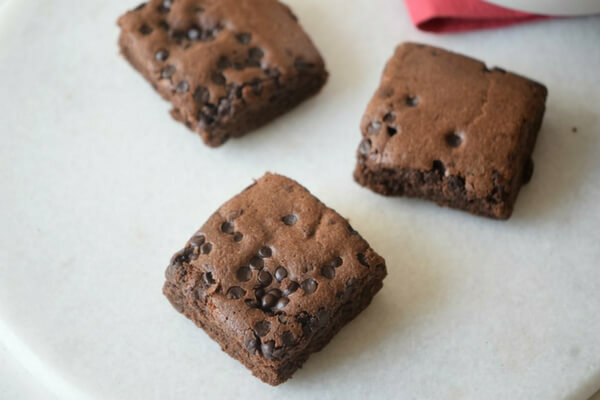 My daughters are not fans of regular avocados, but when incorporated into desserts like our favorite fudge-y Avocado Brownies or Mint Chocolate Chip Avocado Ice Cream, they scarf them down and ask for more! I have a feeling that your family will love them as much as our does – here’s to a healthy summer! 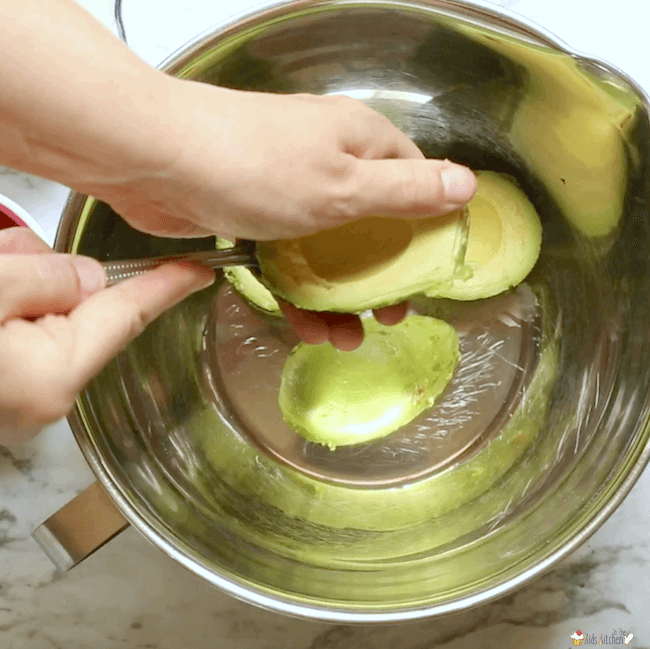 Watch this 1-minute video tutorial to see how we make our Avocado Fudgesicles, then keep reading for full photo-step-by-step recipe and bonus prep tips! 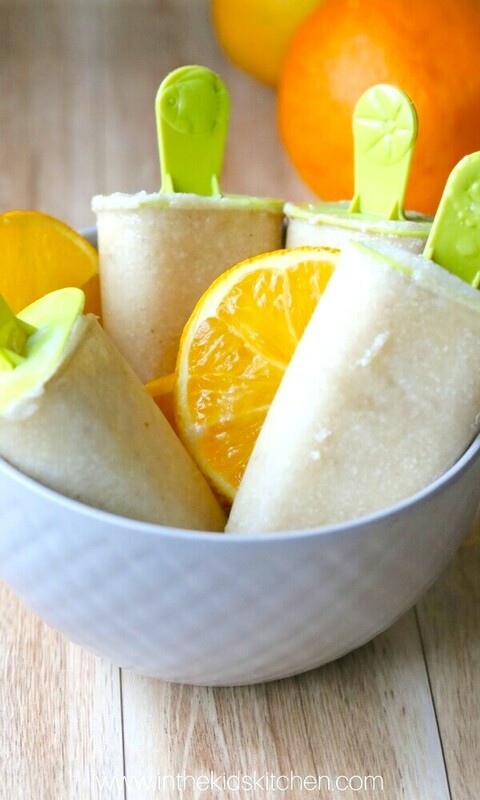 These avocado fudgesicles are a tasty way to get some superfood goodness! 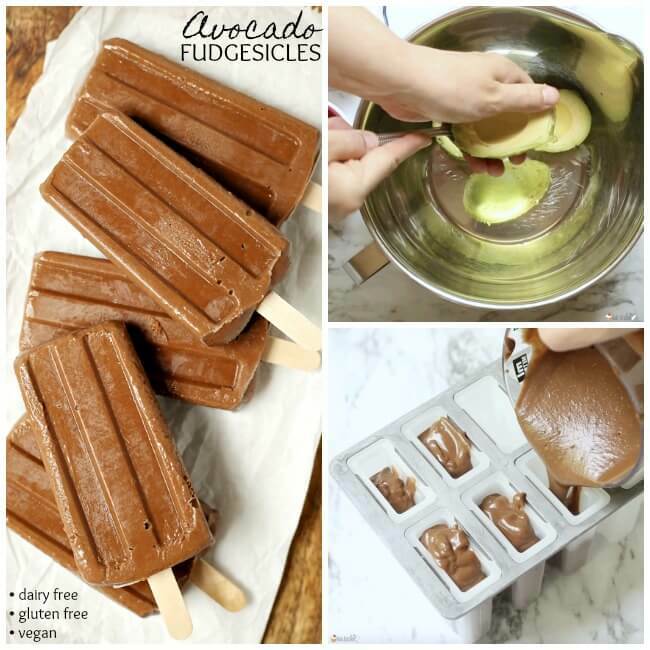 A free printable copy of this avocado fudgesicles recipe is available at the bottom of the post. 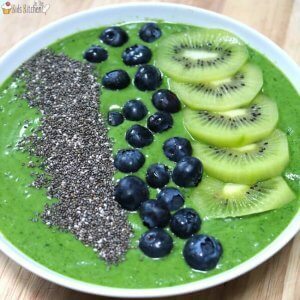 Place all ingredients into a food processor and puree. You can also use a large mixing bowl with a hand mixer or a stand mixer for this step. 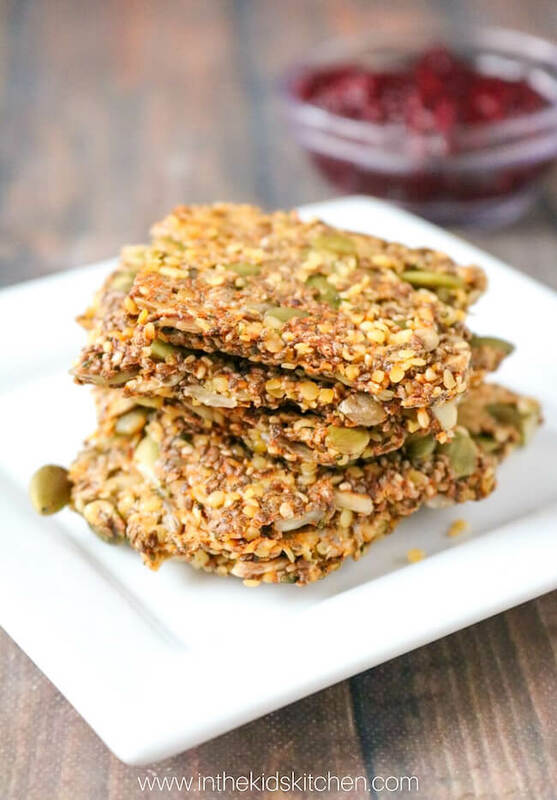 TIP: We love vanilla bean paste for its rich, concentrated flavor. However, if you don’t have this particular ingredient on hand, you can substitute 1:1 with vanilla extract. 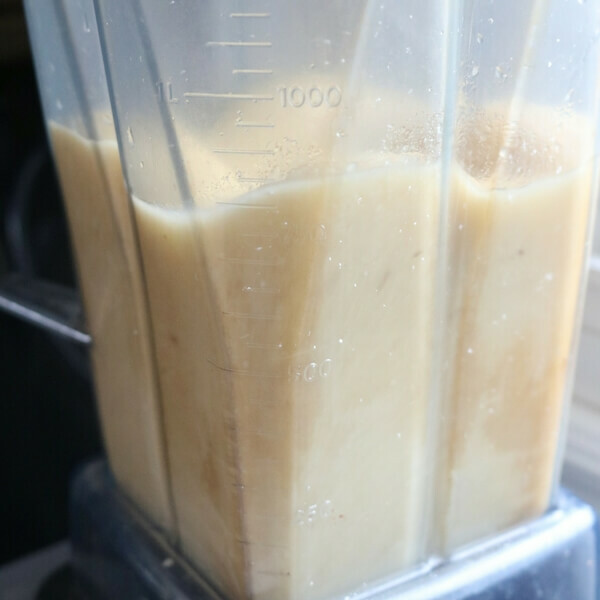 For the cashew milk, start with 1/2 to 3/4 of a cup, gradually adding more as needed, until the mixture is smooth. 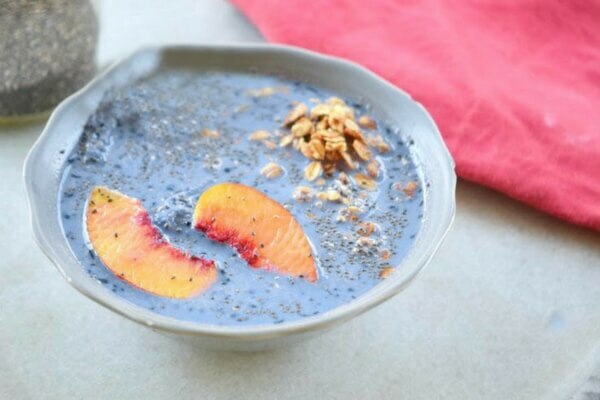 TIP: We used cashew milk because it has a creamy consistency that works especially well in non-dairy frozen desserts, however you are welcome to use the dairy free milk of your choice. 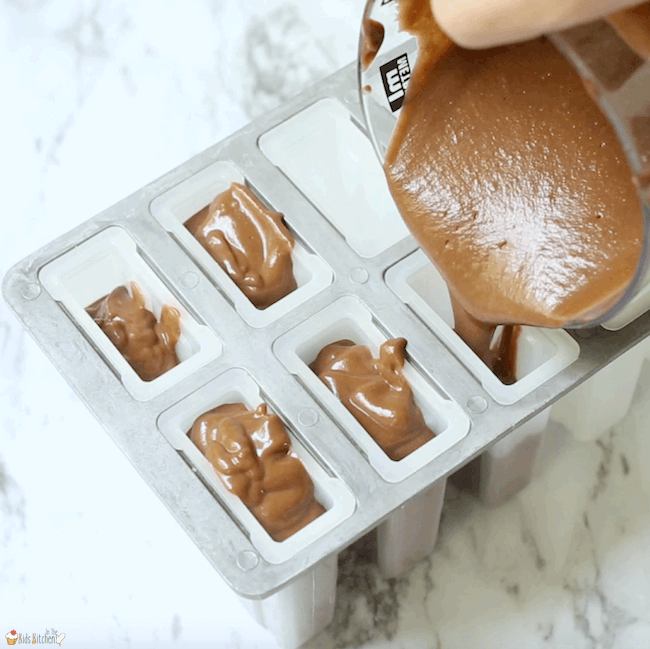 Pour avocado fudgesicle batter into popsicle molds (or pour first into a measuring cup and then use that to easily pour into popsicle molds without messes). Insert popsicle sticks. 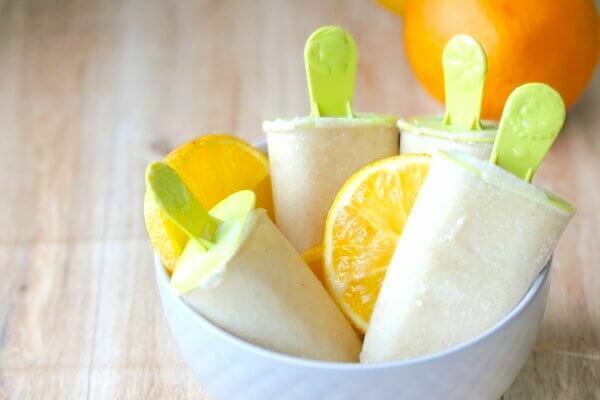 TIP: Silicone popsicle molds release your Avocado Fudgesicles (or any frozen pop you make) easily! 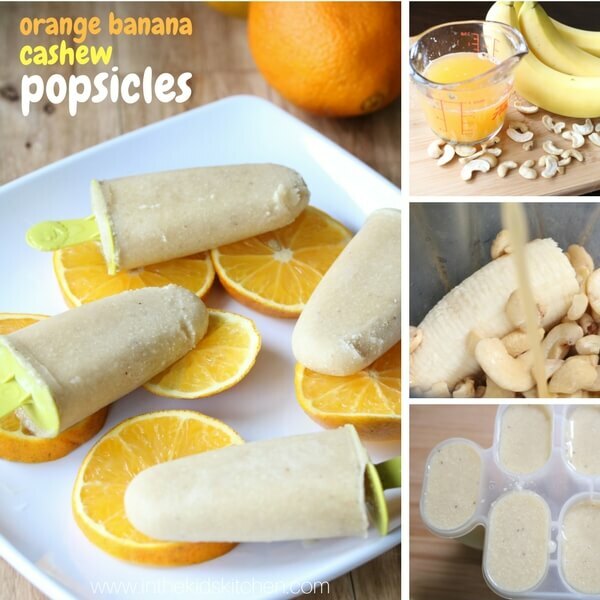 Freeze at least 2-4 hours. To release your popsicles, run the mold under warm water for 20-30 seconds and they should pop right out! 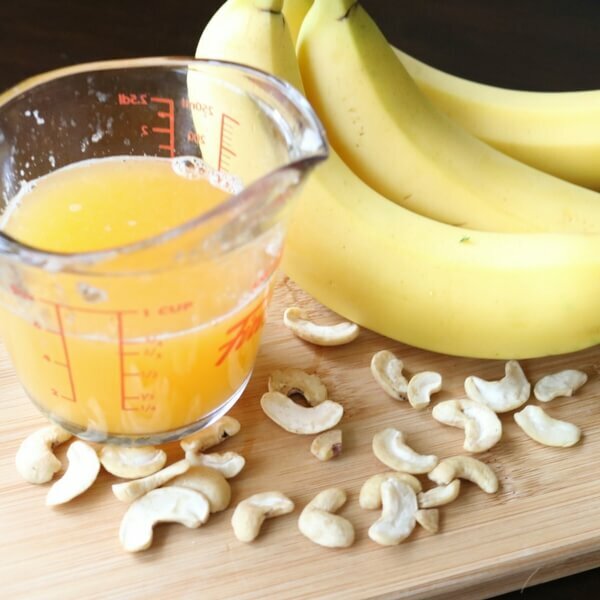 Place all ingredients into a blender or food processor Add 1/2 cup cashew milk and puree. 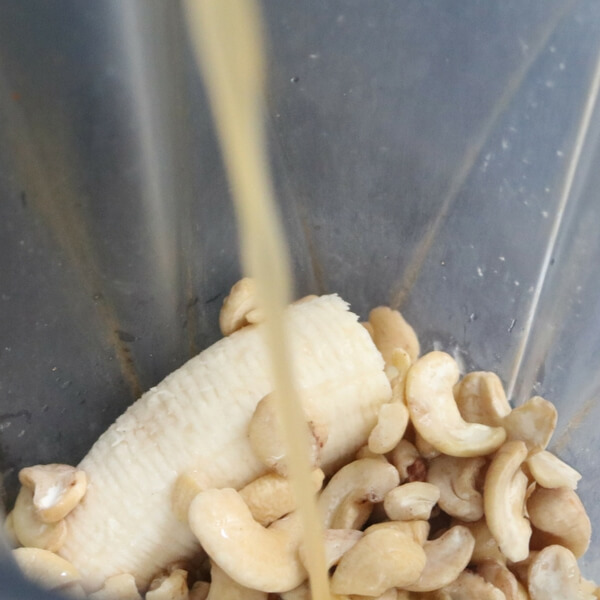 Add more cashew milk as needed, until the mixture purees smoothly and completely. 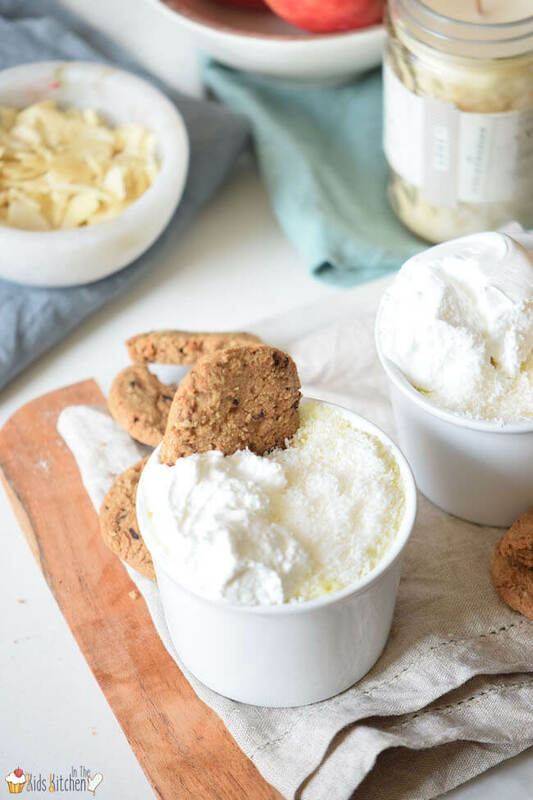 What’s Inside: A simple recipe for deliciously fluffy Dairy Free Coconut Pudding. 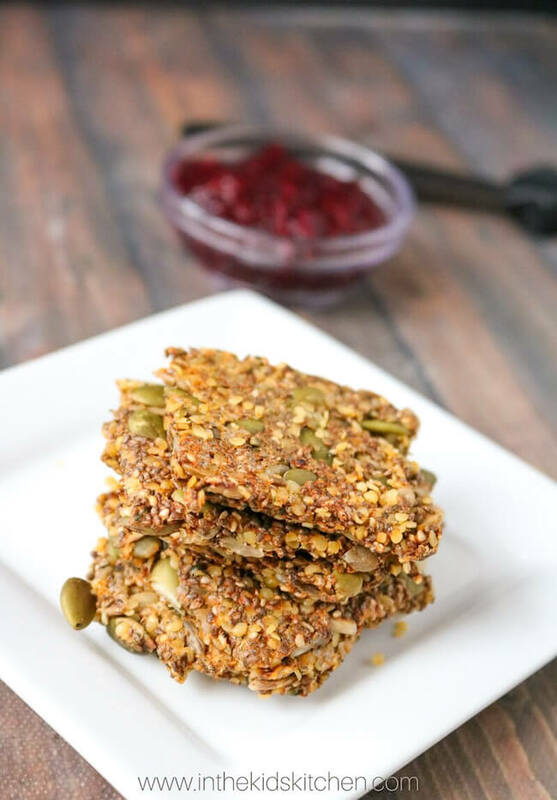 With two family members that are lactose intolerant, we are always looking for new recipe ideas so we can still enjoy our favorite foods. This homemade coconut pudding recipe swaps creamy coconut milk for the usual dairy ingredients. 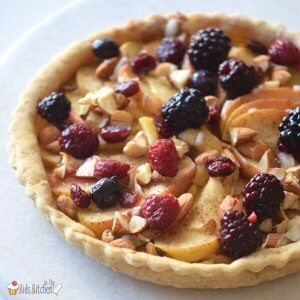 The result is a from-scratch pudding that is rich, creamy, and safe for lactose-free diners! The best part? This coconut pudding is made with simple ingredients and easy to make. 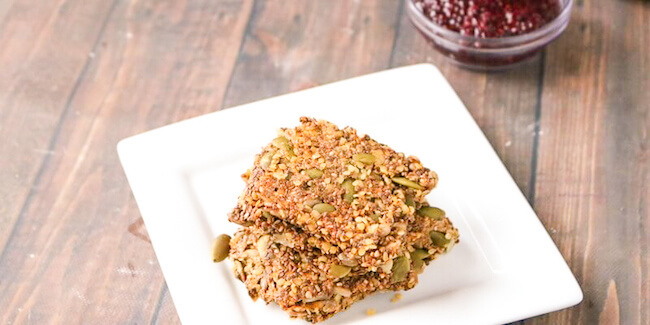 What’s better than homemade, healthier desserts that everyone in the family can enjoy? In a medium mixing bowl, combine 1/2 cup cornstarch, 1 cup coconut milk, 2 eggs, 2 tsp vanilla, and a drizzle of maple syrup. Pour the pudding batter into a sauce pot over medium heat. Stir continuously until the first bubble forms. Reduce to low heat, and continue stirring for 2 more minutes as pudding thickens. 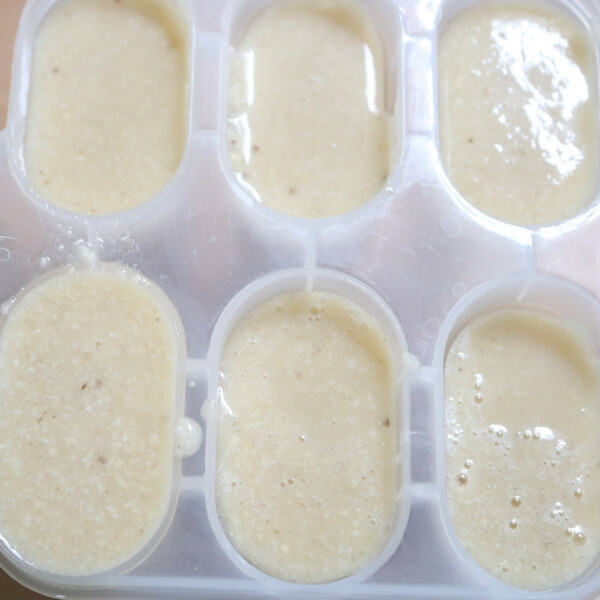 Pour pudding into rocks glasses or parfait glasses and take them to the fridge for 3 hours. 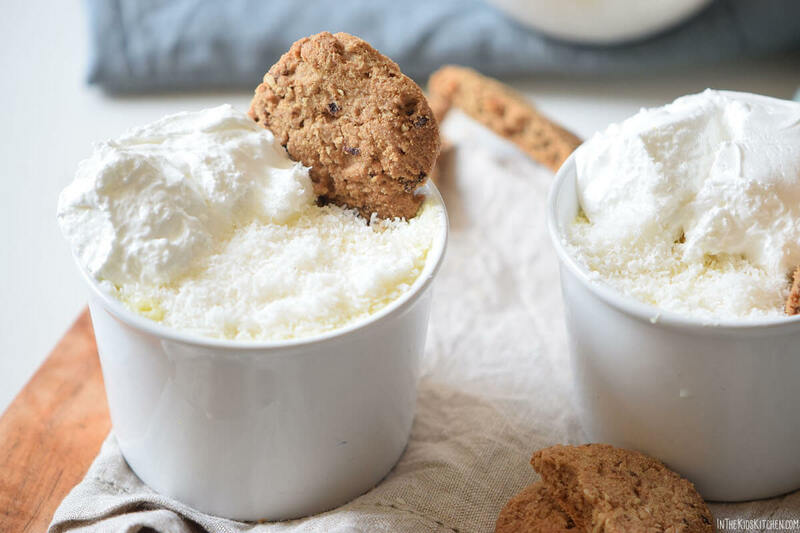 Top with grated coconut, whipped topping, and a cookie.